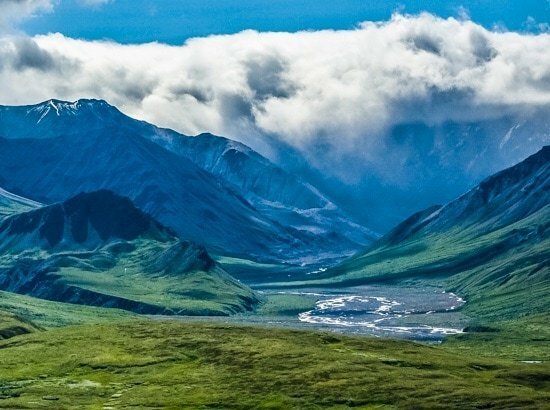 Unless you live in a part of the country where it does not freeze often, you will need to winterize your camper. 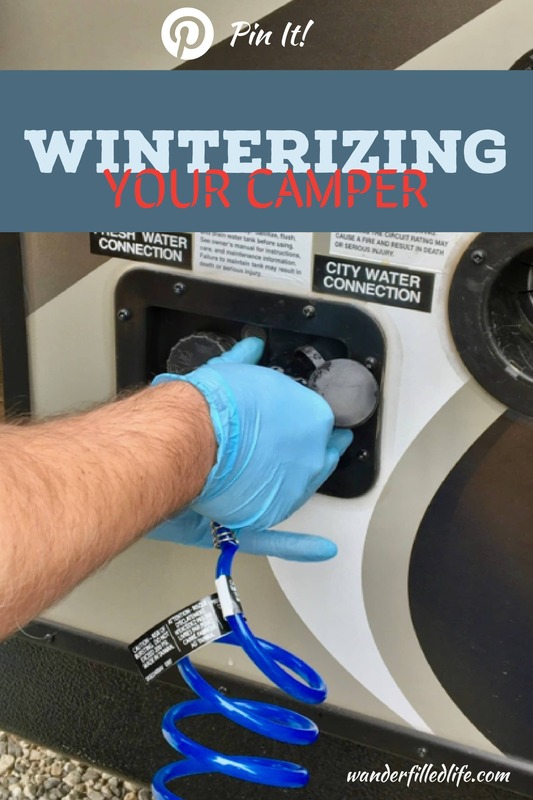 Winterizing a camper basically consists of draining all water and/or pumping anti-freeze through the water lines so that when temperatures drop below freezing, the “pipes” don’t burst. When we first looked at winterizing, we thought we would need to have our local shop do it for us. We live in a condo and don’t have a ton of tools or garage space to work. We had to take the camper in for service anyway, so why not? So, we checked at our local Camping World and they wanted to charge us about $130 to winterize the camper. 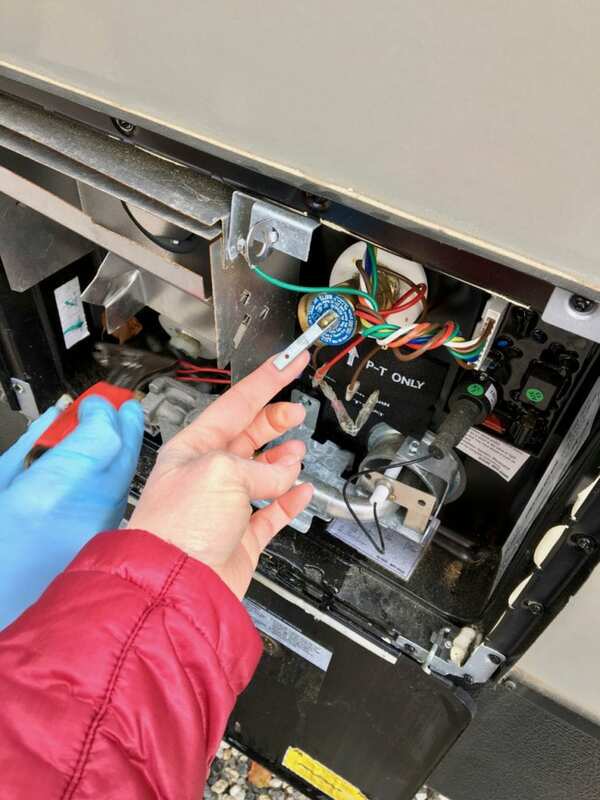 That said, the folks behind the counter said we could easily do it ourselves with the purchase of a bypass valve which would all you to pump anti-freeze into the system. Sounds easy, right? Well, not so much. 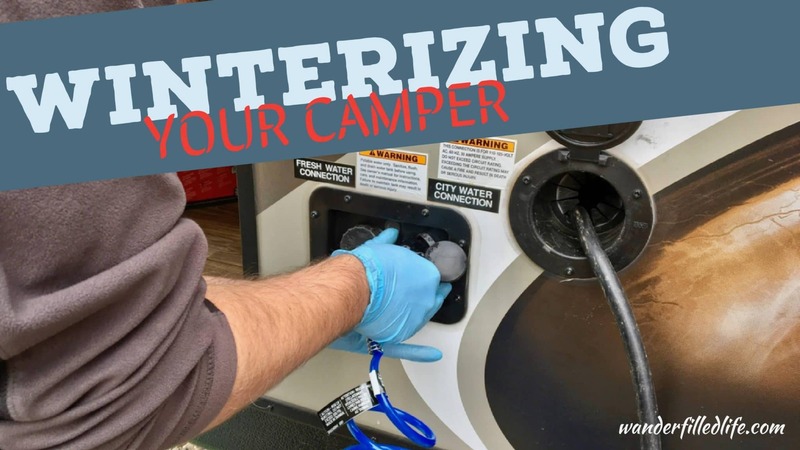 Accessing the water pump was not an easy process and after taking a look at the manual, we realized there are a couple of ways to winterize the camper without installing the bypass valve. First and foremost, FOLLOW THE INSTRUCTIONS IN YOUR MANUAL. 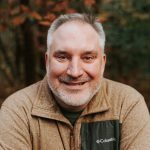 Your camper is 99% likely not to be the same model I own. That said, this is our experience following the instructions for the Keystone Passport Elite 23RB. 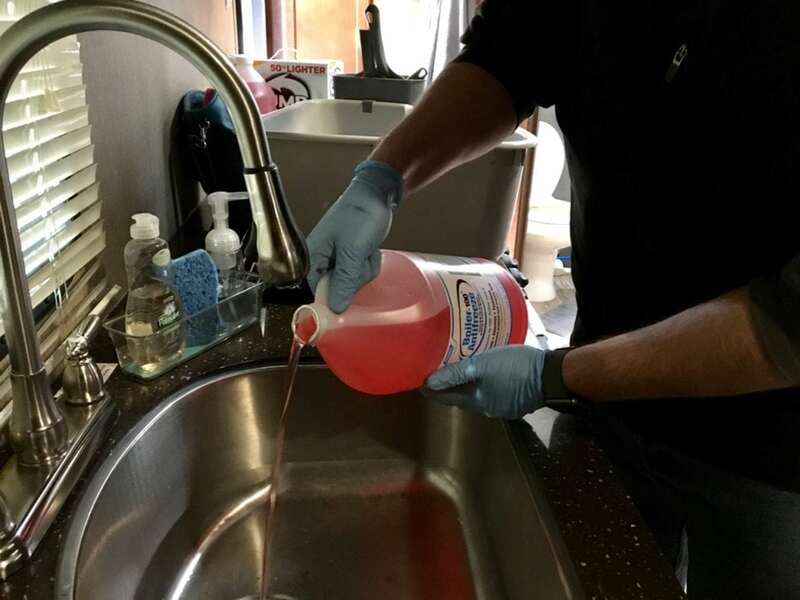 The first option is to pour several gallons of antifreeze (be sure you are using RV/Marine anti-freeze!) into the fresh water tank and then run antifreeze through the entire system. 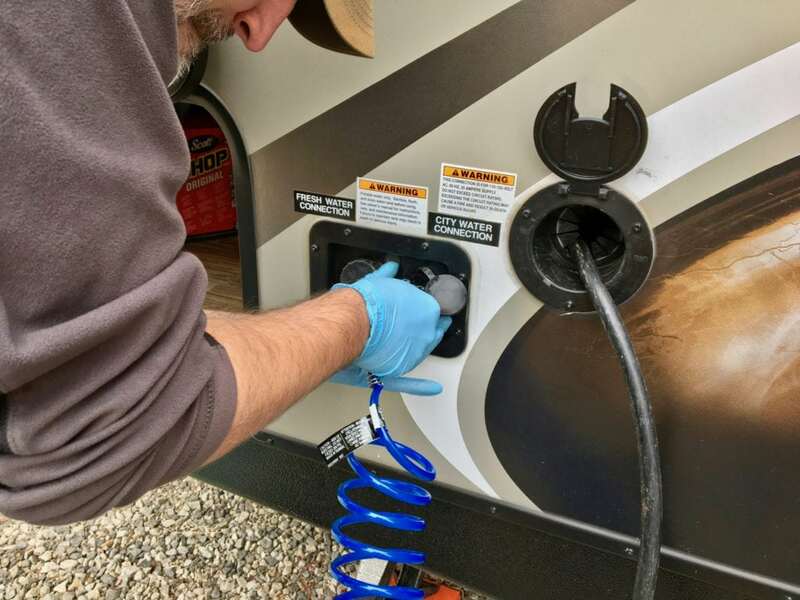 We didn’t like this option for a couple of reasons: One, antifreeze is fairly expensive (about $20 per gallon at Camping World)… We know we will have to do this twice this season since we are taking the camper down to Disney World in February and then bringing it back. Two, even though the anti-freeze is inert, we would prefer not to have that running through the drinking water lines. Option two was to use an air compressor to blow out all of the water lines and add anti-freeze to the drains and gray and black water tanks. We liked this option because we would a minimal amount of anti-freeze, which would keep recurring costs down. The problem? We don’t own an air compressor, which aren’t cheap and typically are fairly large. Just like you, I hit the Internet and found one, a compact air compressor for a reasonable price and, two, an adapter from Camco (of course!) which will screw right into a standard water inlet. 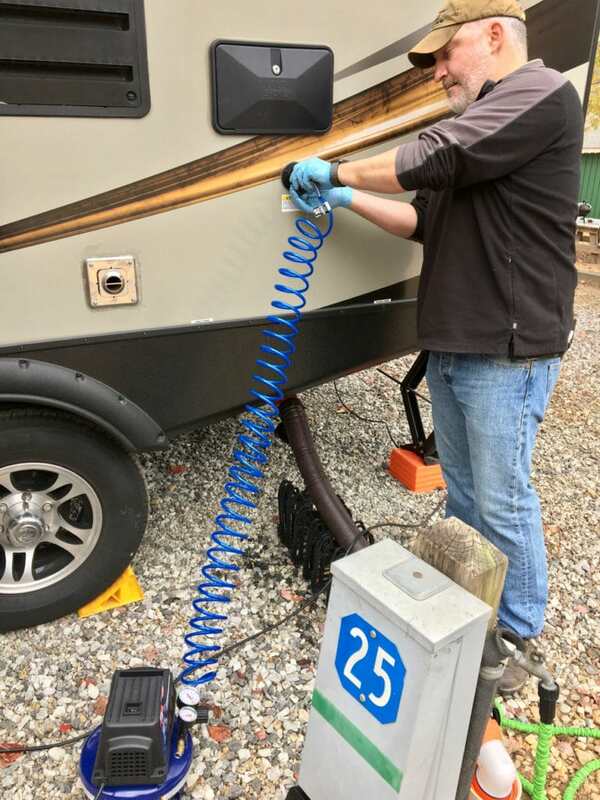 The reviews on Amazon had several folks who use the air compressor for RVs and it suited the purpose I need it for just fine. An added bonus is I can use it to top off tires on the camper were they to get low. The compressor did not come with a quick attach/detach adapter, so we went to Home Depot to pick up one for about $4. After attaching that to the hose on the compressor, we were ready to go. We packed up the camper and headed to a nearby campground for a quick weekend. This quick release compressor adapter costs very little and allows your compressor to quickly switch between tools. 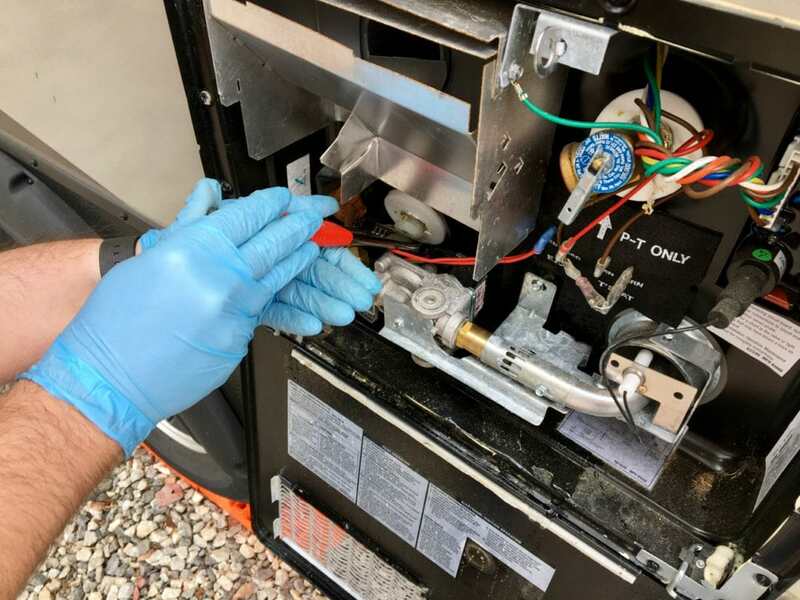 First things first, make sure you turn off the water heater and let it start cooling down. Next, I disconnected my city water at my campsite and started my normal tank draining and flushing procedures and here is where I could have saved some time. 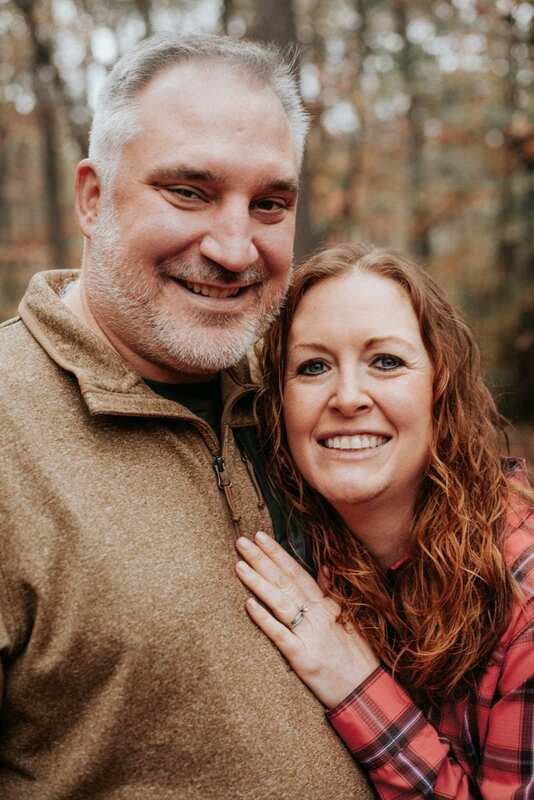 What I should have done is started draining the hot water tank, fresh water tank and lines while the black and gray water tanks were draining. This small valve (in the up or bypass position) prevents water from passing into the hot water tank. Next, I flipped the hot water tank bypass valve and I toggled the pressure release valve on the hot water tank to take off some of the pressure. Then I got out an adjustable wrench and removed the hot water tank plug and started it draining. Bonnie flipping up the pressure toggle on the hot water tank while I work on the plug. Getting to the drain plug was a bit of a pain. Once I loosened the plug, it unscrewed by hand fairly easily. My camper is equipped with drains for the fresh water tank and the water lines. I opened those up to let those drain. My camper came equipped with a freshwater tank and line drains. I suggest draining those before you start working on everything else. It will save you time in the long run! 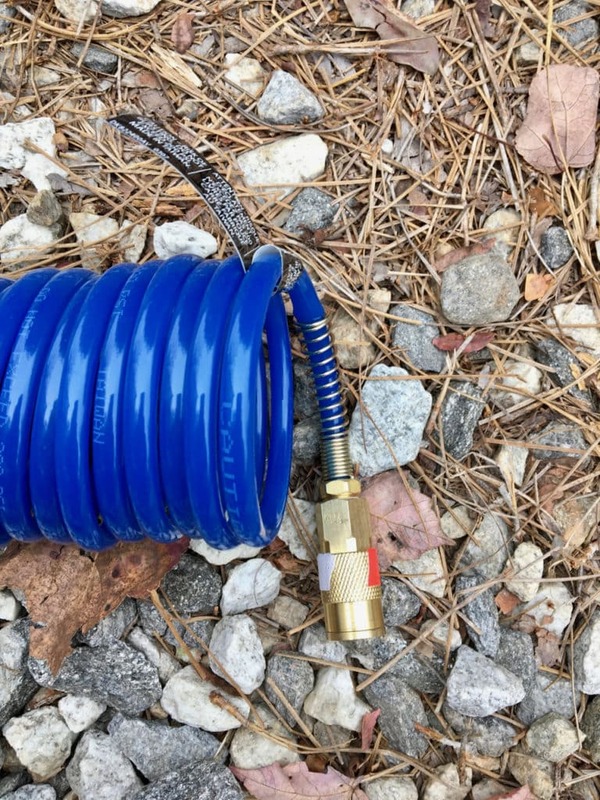 With my black and gray water tanks drained and flushed, I connected my air compressor to the black water flush line. I let the air compressor blow out the line at 30 PSI (per the camper manual). Don’t forget to blow water out of the tank flush lines! Then I ran the water pump to pull any remaining water out of the pump and fill lines. Once that was complete, I moved the air compressor to the city water line and opened up all the faucets. Don’t forget the outside shower if you have one! I blew out the lines with 30 PSI with the drains open. Then I closed the drains (leaving the faucets open) and blew out the lines again. Nothing much came out of the drains except the exterior shower. 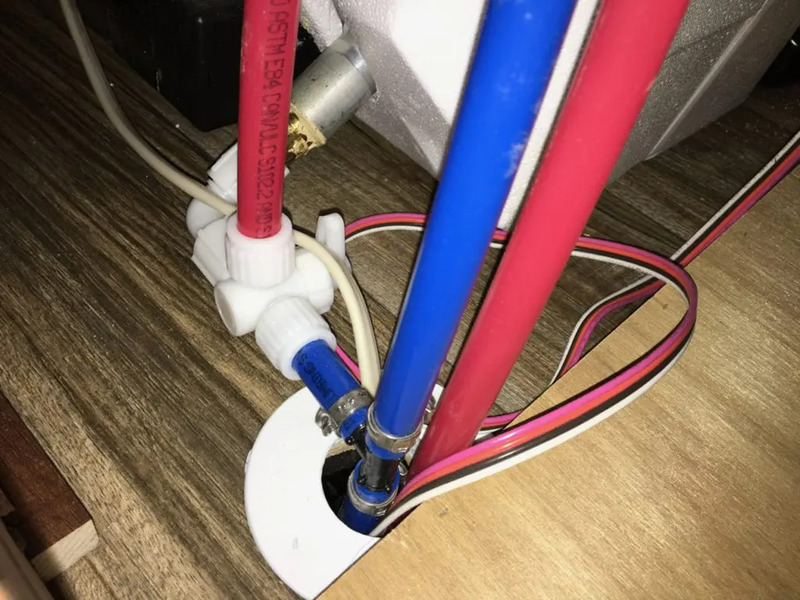 Using the Camco adapter made connecting the air compressor to the city water connection very easy! In the meantime, I replaced the plug on the water heater. After shutting down the compressor and closing all the faucets, I poured some antifreeze into the drains and into the toilet. Make sure to leave a small amount in the actual toilet to keep the seal from freezing. We used about 1/3 a gallon of an antifreeze. Making sure the p-traps and drains all had a little antifreeze prevent freezing. All told, it took us about an hour to complete the winterization process and the normal takedown process. That is a bit longer than normal. It is not so onerous we wouldn’t do this as a normal part of camping in the late Fall. The purchase of the compressor, the adapters and the antifreeze was about $100. The ability to do it again in February without any additional expense is great. The compressor is very compact and easily stores under the bed with the rest of our tools. We purchased a tire inflation tool to go with the compressor. The brass adapter on the right will allow you to purge your water lines. 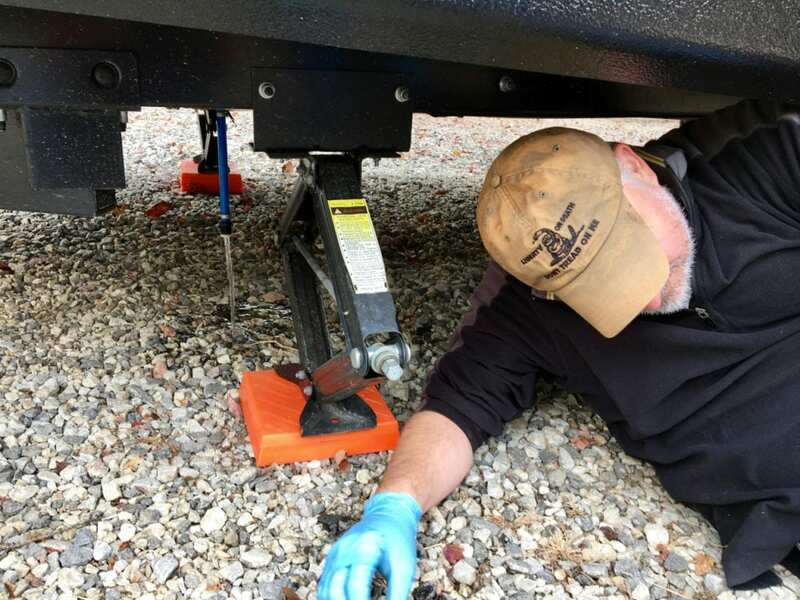 The tire inflator will save you a trip to gas station to fill your tires. Being able to do winterize ourselves and the added utility of the compressor is an advantage. It really helps if we decide to take the camper out in the middle of the winter to southern locations.